Anelia Somekh-Baruch received the B.Sc. degree from Tel-Aviv University, Tel-Aviv, Israel, in 1996 and the M.Sc. and Ph.D. degrees from the Technion–Israel Institute of Technology, Haifa, Israel, in 1999 and 2003, respectively, all in electrical engineering. 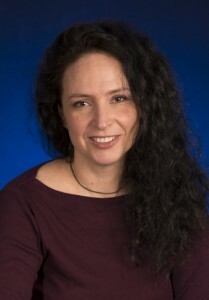 During 2003–2004, she was with the Technion Electrical Engineering Department. During 2005–2008, she was a Visiting Research Associate at the Electrical Engineering Department, Princeton University, Princeton, NJ. From 2008 to 2009 she was a researcher at the Electrical Engineering Department, Technion, and from 2009 she has been with the Bar-Ilan University Faculty of Engineering, Ramat-Gan, Israel. Her research interests include topics in information theory and communication theory. Dr. Somekh-Baruch received the Tel-Aviv University program for outstanding B.Sc. students scholarship, the Viterbi scholarship, the Rothschild Foundation scholarship for postdoctoral studies, and the Marie Curie Outgoing International Fellowship.